Book a 1 hour session with Larry Campbell, and receive a complimentary “energetically infused” sacred geometry copper bracelet (a $44.00 value). This “Rebalancing Muscle Infusion Activator” bracelet helps to balance the body on a physical level, targeting all systems. The ring within the bracelet works with the higher dimensions of light, bringing forward what needs to heal on the physical level such as physical injury to the body, muscle injury, scars and bone and strains on organs. The energy witihin this sacred geometric tool will be infused specifically for you by Larry Campbell and his guides. Each piece is uniquely handcrafted and energetically prepared for the purchaser. Book four, one hour sessions with Larry Campbell, and receive a complimentary “energetically infused” Sacred Geometric Tool the “Self Love Activators”. This Self Love Activator assists you to come more deeply into the Love within yourself and within all creation. As you visualize this shape moving through each one of the chakras, you simply affirm “I am Love”. The energy within this Sacred Geometric Tool will be infused specifically for you by Larry Campbell and his guides. Each piece is uniquely handcrafted and energetically prepared for the purchaser. 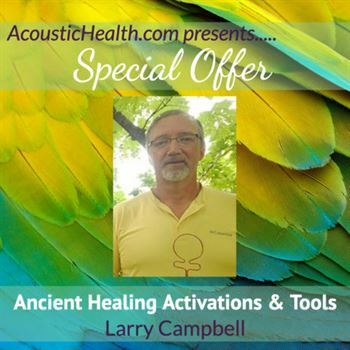 If you would like to work directly with these Healing Tools in your healing arts practice or in your personal life, you are invited to purchase Larry Campbell’s three most popularly used tools in his own healing practice , or the full Practitioner Kit which include 7 Sacred Copper Tools designed for specific healing purposes discussed in Quantum Conversations. Open up to the energy in your body with these copper healing tools. Use before massage or use to change consciousness in your own body or assist others. 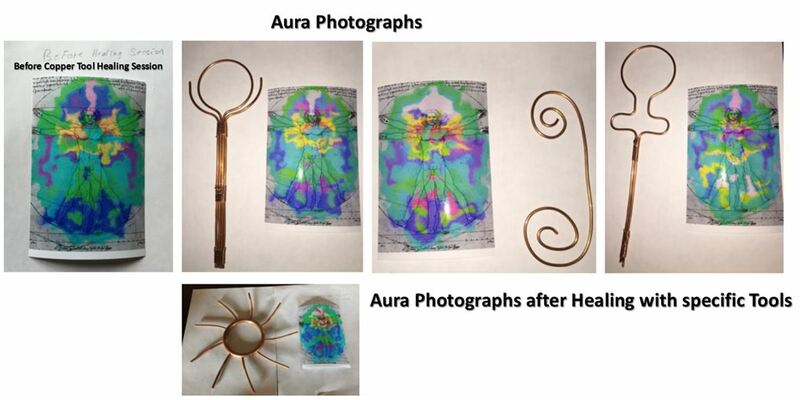 See the aura photos below to understand how these healing tools adjust the aura. These photographs were taken by Kirlian Photography after a healing session. Notice how the auric field of the subject changed before and after each session. Also, notice the difference in the auric field with the various tools.